We SO love and honor Ron and Patricia! Please comment below with your well wishes and blessings for them as they celebrate 45 years of marriage. 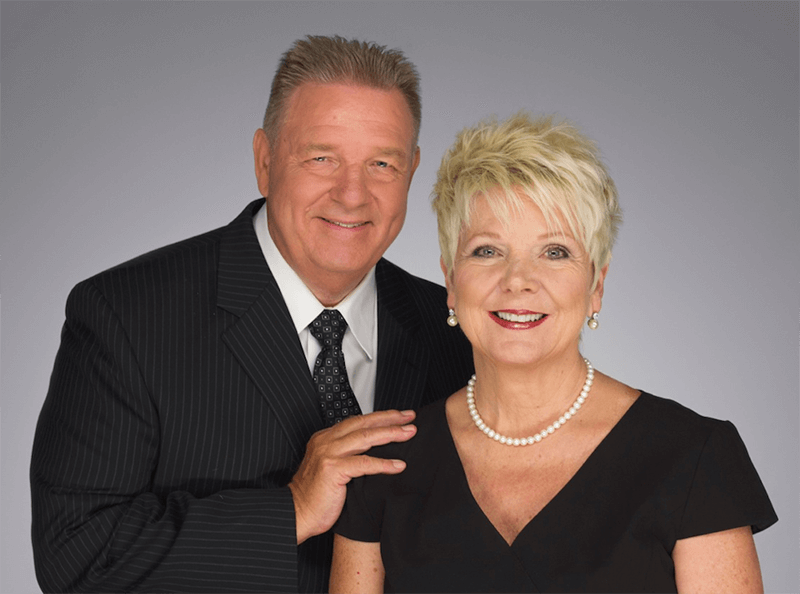 Click below to sow a special love gift to Ron and Patricia. Click on the Donate link once you land on the Breakthrough Ministries home page. We Love you SOOOO Much Ron and Patricia! Steve and Shelly K.
Happy Anniversary! Thank you for being such an amazing example of a Godly marriage! Dearly beloved, we just love you and your teaching. You have Our Father’s heart. You are such a blessing to the world…prophetic voice, powerful and great and mighty woman of God. Woman after his heart! You are blessed to be a blessing! What He blesses is blessed forever! Thank You for Your extravagant love for our King for and for all of His heirs. May He crown you with bounty, goodness, blessing for a lifetime, favor that surrounds you like a shield and his favor is for a lifetime. Favor with God and man, prosperity, provision, divine health, glorious and spiritual riches, rich and eternal treasures..I declare Isaiah 54:2 let the curtains of your habitations be stretched out, spare not, lengthen your chords and strengthen your stakes, 23 For you will spread abroad to the right hand and to the left! I declare increase more and more you and your children’s children. I declare for financial miracles, financial breakthroughs, and financial blessings. I pray that He would open the gates, windows, portals and vaults of heaven and pour forth His blessing exceedingly beyond your imagination and expectations. I pray that He would carry our His purpose and do superabundantly far over and above all that you dare ask or think infinitely beyond your highest prayers, desires, thoughts, hopes and dreams. I pray for exceleration of dunimus and resurrection power, signs wonders, miracles, paradigm shifts, breakthroughs and suddenlies..may all your hope, dreams and prayers come to fruition. We love you! Always look forward to your live video’s powerful worship, prayer and anointed word! You guys are so precious! It has been such an honor to partner with your ministry and also to be mentored through your ministry. Thank you for all you do for Him! Ron and Patricia, As you were receiving your honor here on earth, I saw in the spirit you both sitting on thrones with crowns full of beautiful jewels and kingly robes. Jesus was honoring you in the heavenly realm at the same time. I felt as though all of heaven was looking on in both places and celebrating your honor. God bless you both. Happy Anniversary to you both, Patricia you are a wonderful example of a woman of God and I love the way you run your ministry. You are a light of the Lord. You are exemplary! Happy Aniversary! Thankful to God for your life and being such a blessing. Hi Ron and Patricia, Congratulations on your 45 years of married life together! Thank you so much for all that you have poured into our lives. We will never be the same again! Love you SO much. Ron and Patricia, WOW WOW WOW I see an amazing place prepared for you both! It all is within the Great Reward of your shared LOVE! I heard something in your voice today that is evidence of His great Love concerning you. there is only one word that comes to mind “MAJESTIC”! YOU ARE HELD IN HIGH REGARD BY ALL!Congratulations on 45 years of amazing love! Thank you for sharing the beautiful gift that the Lord our God has placed within you. Congratulations on your wedding anniversary! I thank God for you and how much difference you made in my spiritual growth. Happy Anniversary!!!! May Papa God bless you with may more happy and joyous years. Happy Anniversary Patricia and Ron! Congratulations. We bless this godly relationship, which is an example and inspiration to many around the world. We bless you Ron and proclaim complete healing and wholeness in the name of Jesus! Patricia you are a lover of God and an encourager. You have been an inspiration to us in the A-Team. We pray that God takes you and Ron deeper into His purpose and unlock the mysteries of heaven, billions of lives be transformed as you release them on earth. We bless you and love you. First of all, I’m fairly new to your ministry. I signed up for this conference online and I can’t tell you what a blessing it’s been. The panel discussion today really ministered to me. I am beginning to get some things under my feet but finances has not been one of those things. After hearing you speak, Patricia, about getting things under our feet, I’m determined to get authority in this area. I’m embarrassed to say I have not tithed in a long time. I’m in pretty bad shape financially. Right after I heard you speak, I wrote out a check to tithe to my local church. It’s going into the offering tomorrow! Bless the Lord! One of my best friends has been to several of your conferences when you’ve come to SLC. Maybe Boise, too, if you’ve ever been there. She tries to go whenever you’re close by. After being a part of this conference online, I can see why. Perhaps I’ll tag along with her and meet you in person. We live in Idaho Falls. I was very impressed. What impressed me most of all was the integrity and servant’s heart I saw in both of you. Gifts are a dime a dozen. But, integrity and character… That’s worth something to me. Thank you for your laid down lives. And have a wonderful anniversary! Congratulations on 45 years of marriage, you are definitely an godly example. Thank you for sharing and walking in your purpose. You are such a blessing to so many, myself included. God Bless you with another 45 years together. Happy Anniversary, Ron and Patricia! What an incredible example you have set for so many through your lives and your marriage. May the next many years of your marriage be greater than ever before and may God continue to richly bless you and your house and all that you both touch in every single way. Hugs and love to you!!! Happy Anniversary!!! Together you have shared a lot of amazing God experience, and this journey has brought you to this point. I believe He is preparing you for His best – the best is yet to come! May you be totally overwhelmed by His goodness and wowed by His faithfulness! Congratulations on your wedding anniversary. You are an amazing couple and together have done much for the kingdom. We pray your day is blessed and that you enjoy many more wonderful years together. Dear Ron and Patricia, Your love is beautiful in God’s eyes. Love is amazing and so pure. Wishing you a wonderful annivetsary and another 45…blessings and love. Thank you for your faithfulness in following The Lord and answering His call. Thank you for your tireless work and giving for the greater good and advancement of The Kingdom and Godly principles. God is faithful even unto the end of age and forever. Love and Blessings in Christ. Thank you both for your faithful witness and service. Happy Anniversary Patricia & Ron. Thank you for your lives it brings impact to us. Its getting better and sweeter. We love you. God bless you both and family. Congratulations Ron and Patricia on your 45th Anniversary! I thank God for you everyday you have been such an inspiration to me. May God continue to bless and keep you as He continues to bless all of us through your work. My prayer for you is that you have many more happy years together, full of love and good health. I am a Australian pastor and missionary. I have been so blessed listening to your Life broadcasts. Thank you for your love for the global boby of Chris. Dear Ron and Patricia: Happy Anniversary and congratulations. Thank you so very much for your ministry, dedicated and loving service. Thank you, as a new partner, I am very blessed to be a part of your extended wonderful family. Patricia, a special thank you to you for praying for me for godly husband and marriage in the bookstore in Charlotte, North Carolina at the Chavda ministriies conference. You were so kind and so loving. Thank you from the bottom of my heart! Happy Anniversary. God bless you. I attended one of the first glory schools in Kelowna and have followed your ministry since.I consider you one of my spiritual mothers Patricia and you are one of my role models in life. Thank you for being such a bold forerunner and breaking through for all of us.You truly are an inspiration. I was part of your mentoring group last year and was greatly blessed by your teachings. Thank you! You are a blessing to many. May you have many more years serving the LORD together. Thank you for being in a part of my life. Congratulations and thank you, Ron and Patricia, for 45 years of marriage and ministry. Thank you for your Godly example of perseverance in pushing through the hard and lean times, and for paying the price it takes to walk closely with God. I see gold oil being poured out on both of you and all that you have stewardship over. There will be a new peace and ease from now on in all the things you put your hands to do in ministry, family, home life, and relationships. Vacations are coming to you because in the midst of the “upgrades and new levels” there will be rest as everything is well “oiled” and running smoothly. I decree a new and overwhelming saturation of God’s love for you both. Dear Ron & Patricia , Happy anniversary! I thank God for you and how much difference you made in my spiritual growth. Hi Patricia & Ron blessings on your special day from NZ. I so appreciate you guys. What a privilege to know that PK prophetic ministries was the pioneer on media! I want to thank you for God has used you in a decisive time in my life for not giving up, but standing up and following the career with Christ. Many around me didn’t believe or accept the prophetic ministry and supernatural as I did. I couldn’t go back! It is real for me! So, Shiloh Webchurch has appeared! A LOVE prophetic and apostolic church which could help my hunger for more of God! Thanks for all teaching, true love, care, heart for the world. I’m grateful for you both for the price you have been paid. For sure, Jesus has seen the fruit (Isaiah 53:11). And Psalm 144 can say much for me and you! May God bless You graciously! Blessings surround your marriage! May His divine favor cover you like a shield, in so many aspects, more than you ever thought possible!! Thank you for your inspiration and beauty! Happy Anniversary, Ron and Patricia! Your marriage is such an example of Jesus’ love for His Bride. Happy 45th Anniversary! We treasure your ministry! You are both a gift to the body! May the Lord continue to bless you mightily in every area of your life. Dear Ron & Patricia – Happy 45th Wedding Anniversary! I just want to honor both of you on your special day. Thank you for your yes to Jesus. You have transformed lives by your simple yes and obedience. You have sacrificed and plowed ground for so many of us in the body of Christ. People you’ve never met face to face have forever been changed by your ministry. You will never fully realize your impact until Heaven. My life has truly been enriched because of both of you! I can’t wait to see what this next season of life will bring for you personally and in ministry. I know that the Lord is going to bless you both mightly and you will continue to go from glory to glory to glory! Lots of love and blessings. You are both such a wonderful example of the love of Christ! Together you give all married couples encouragement to stay strong and steadfast in a beautiful covenant created by God to magnify love..in all seasons of this earthly life. Bless you both with continuous joy in each other. Happy 45th Anniversary Ron and Patricia! Wow….way to go you two 🙂 My life has been so incredibly enriched because of you both and I want to say thank you for all that you have poured out to me. Love you!!! Congratulations on your 45th wedding anniversary! Thank you for the examples you are with your life. Thank you for your “yes” to God and your obedience to Him no matter what it looks like and no matter what it costs. Thank you for receiving His Love and seeking Him so you can pour out so much. Thank you for your sacrifice. You are changing the world. You have changed my life!